What Formdesk Triggers and Actions are Supported? New Submission - Triggers when you get a new form submission. To get started with Formdesk, you'll need to enter the custom Zapier webhook URL in your Formdesk account. 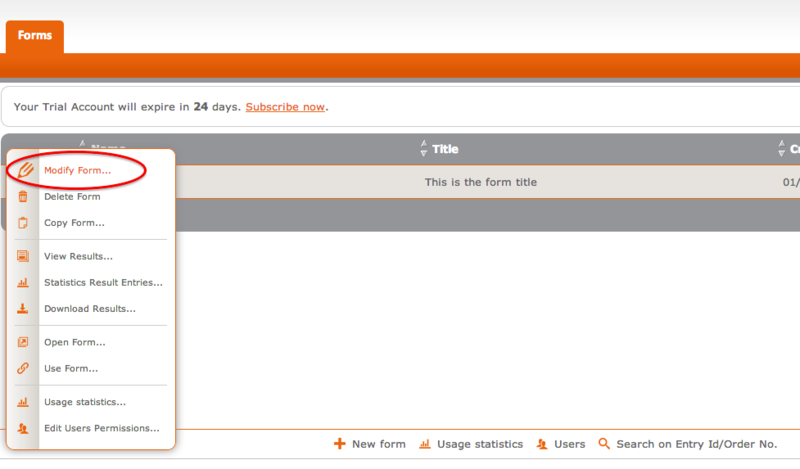 To do this, you'll need to log into Formdesk, click on the settings next to your form and then click on "Modify Form". You'll now need to create a new predefined Webhook. You can set this up by going to the "Settings" tab, clicking on "Webhooks", and then "Create a New Webhook". Once on that page, name your webhook, and then paste the below URL into the URL field. After that go back to the form and submit the form once to push the fields and example data to Zapier.